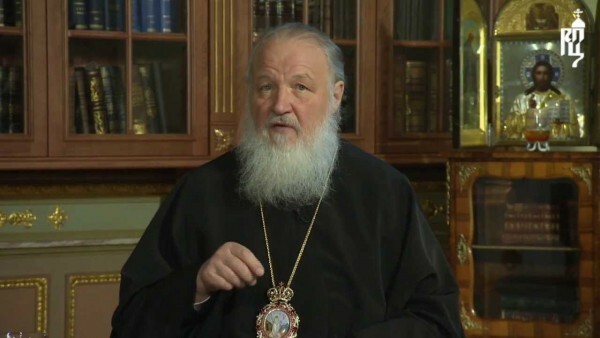 We offer our readers a translation of the transcript of a television program “The Pastor's Word” broadcast on August 22, 2015, where His Holiness Patriarch Kirill of Moscow and All Russia reflects on the problems of monastic and ecclesiastical life, as well as the Church's attitude towards the youth and the human quest for knowledge of the outside world. What Can the Church Offer the Youth of Today? What Role Does Monasticism Play in the Life of the Church? Do I have to Be a Monk?? The question was asked by Pavel Nikolaevich Persov from the town of Buzuluk in the Orenburg region. This issue is raised in publications or the Internet from time to time, and is often used as an excuse to judge the Church. Unworthy priests are made an example and problems in monastic life spill out into the open information space. Some even make good PR for themselves by playing a role of exposers or “prophets” who tell people the truth. However, behind that exposure hide desire to stress their own exclusiveness and moral qualities. But let us not speak about this kind of authors and campaigns, but about the occurrence itself. Are there problems in monastic and church life in general? Yes, of course. It is because people are not born monks. Some do have an inclination towards monastic life from birth but there is a huge distance between this inclination and monastic life itself. People come to the monastery who had no affinity for monastic life, who went through the experience of family life, and even those who have children. At some point, these people realized they should leave the world in order to be closer to God and maybe solve some inner problems which they had been unable to solve in their life in the world. Having come to the monastery however, a person does not become a monk instantaneously. 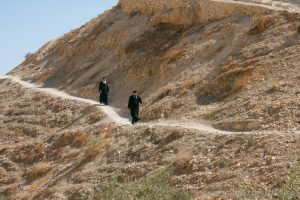 Monastic life begins when a person who showed their desire to join the monastic community is asked to work for the glory of God for free – simply to live in the monastery and work. 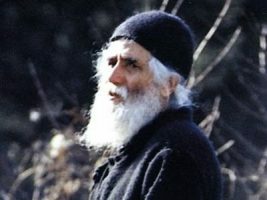 Many people begin this difficult path with enthusiasm and consider themselves to be happy for the first months or even years in the monastery. Sometimes, however, this enthusiasm fades and the monastery worker leaves the place without any conflict. In other cases, he becomes a novice and then a monk but at some point realizes that he will not manage the good feat which he has chosen. This realization of being in the wrong place does not happen right away. An inner fight begins at first, which is often accompanied by conflicts, followed by violation of the vows and canonical discipline. These become the cases that are made known to the world. Many people cannot deal with the distance which separates monastic life from secular life: “People drive good cars and enjoy their lives everywhere, why should I deprive myself of all that? I will live as a monk, but I also want to have all these things.” There are times when the attraction to secular life starts to change one’s inner balance and weaken one’s connection with monastic life more and more. Such people get in traffic accidents and get involved in conflicts, and then a wave of criticism arises in the press: “This is what happens in the Church!” But what does happen in the Church? Indeed all those people who are members of the Church are neither heavenly people nor people from another planet or even another country. These are our people with their own problems and weaknesses who make a good decision to take this salutary path, but do not always manage to fulfill it. The Lord tells a wonderful parable about a seed, which is the Word of God, in the Gospel (Matthew 13:3-8). Some seed fell by the wayside; and the birds came and devoured them up. Some fell on stony places, where they did not have much earth; and they immediately sprang up because they had no depth of earth. But when the sun was up they were scorched, and because they had no root they withered away. And some fell among thorns, and the thorns sprang up and chocked them. All of this is relevant not merely to secular people, but also to monks and clergymen. The Church is neither a dreamland nor an assembly of righteous people, but an assembly of sinners who aspire to become righteous. The Church’s aim is to assist the person in his spiritual growth. This concerns both our parishioners and those who entered a monastery and wish to be saved in a monastic image to the full extent. If there is no sinner among monks at some point of time, it will mean the history has ended and we are already in the other world. But as long as the Church is in this world, it bears the stamp of the world and its sores. However, it remains a community of healing and salvation, where a person is able to find the fullness of life and open the gates to eternity. The question was written by Nadezhda Borisovna Sverchkova from Yekaterinburg. It is not clear what attitudes and aspects of the so-called youth culture are meant here, but we know that young people express different behavior patterns, some of which are diametrically opposed to the Gospel. So the Church cannot justify anything that does not correspond to the Gospel. Another matter is that the attitude of the Church, which aspires to correct this kind of behavioral pattern or a way of life, should always be pastoral. We should not chastise people. We should strive to heal people’s ailments as the Lord did – with love and attention. It means that the display of a certain youth culture should not annoy the representatives of the Church, but should rather be a challenge for a pastoral response. We should find the right words to help people, who practice certain behaviors, preserve their moral origin. What does the Church accept and what it cannot accept? It cannot accept anything that is opposed to the Word of God and to the imperatives of the Church. This is the main principle of the Church’s attitude towards any culture the Church comes in contact with, whether it is youth, foreign, or another religion. But I would like to stress it again that the response to this challenge should be pastoral, because only a word full of love is capable of helping a person understand the beauty of the Gospel. I am afraid it is impossible to prevent a person from perceiving the outside world, even if one puts all possible and impossible efforts into it. The quest for knowledge, just as our moral sense, does not come from culture but is incorporated in our nature by God Himself. Sometimes, acquiring knowledge requires one’s full energy and forces the person to risky behavior. We know that people, in order to test their own strength and get to know themselves, go on journeys around the world on a sailboat – they cross the oceans and climb the highest mountain peaks – in other words, people do something that others would consider to be impossible. Some people trying to get to know themselves perform a huge “feat”: they stay alone in an empty house in the countryside and switch off the lights at night. It is difficult to say who spends more energy on overcoming themselves: those who sail the ocean alone, or those who switched off the lights in a house in the countryside. Everyone has their own threshold and capabilities within which a person is able to test himself and learn about the world. As a result of cumulative efforts, we gain knowledge, based on which we can make life better. However, the most important factor which is capable of changing life for the better is the state of our soul, which we should also get to know and nurture through spiritual struggle. I will conclude our episode here. May the blessing of God be with you and see you next time.